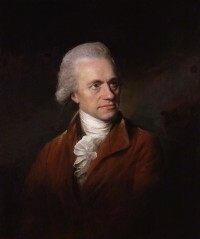 William Herschel (1738-1822) was a violinist, astronomer and composer. He played the violin to earn a living, but after his discovery of Uranus, Herschel’s life completely changed from part-time musician to full-time astronomer. In recognition of his discovery, Herschel was awarded entrance into the Royal Society and was given the Copley Medal on December 7th, 1781. Even more impressive, was the fact that King George III of England dubbed Herschel as King’s Astronomer and paid him £200 annually. It was these two things that changed the life of William and his sister/assistant Caroline. This recognition and monetary support allowed William to drop music and focus entirely on his vocation astronomy. However, he continued making and crafting telescopes that were clearer and more efficient as a means to obtaining a second income.